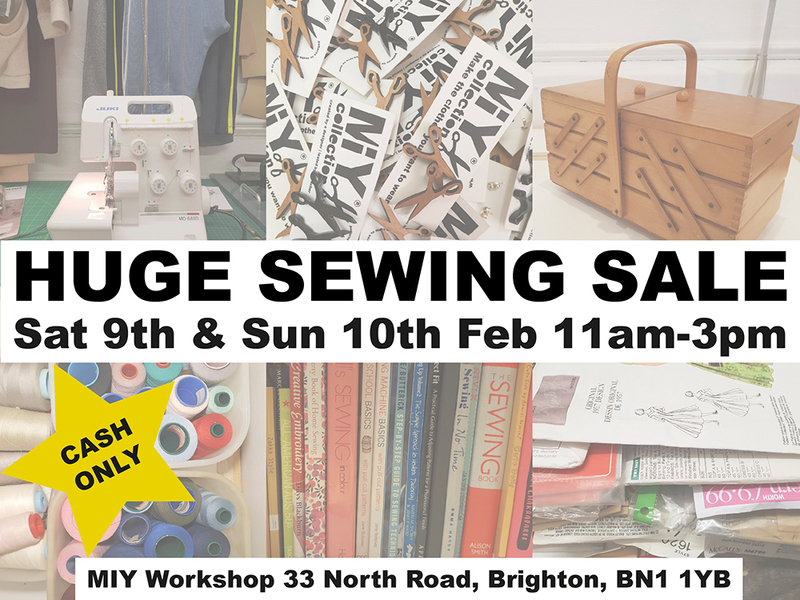 After moving house and having a bit of a sort out at the workshop, I’ve got together a little pile of sewing related items that I no longer have room for. They’re all second hand, but good quality items which I’ve listed below, some with prices. 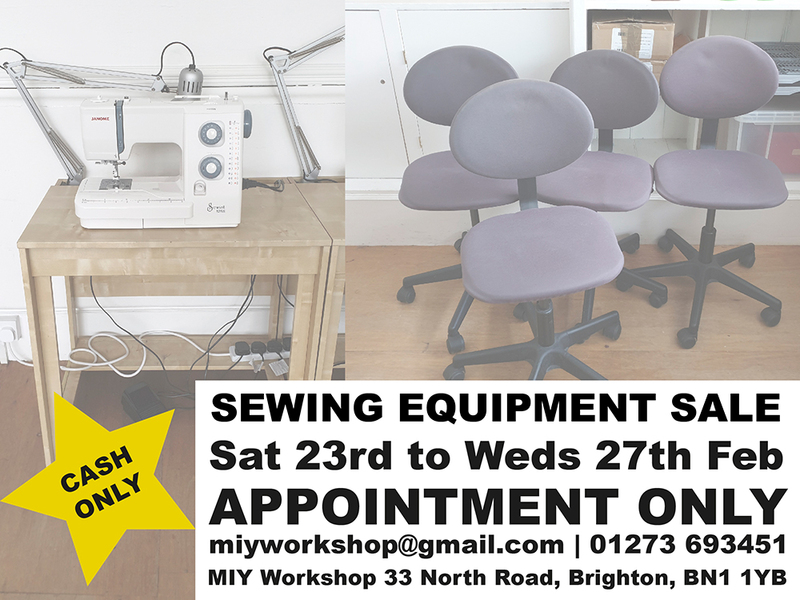 The sale will be from 12pm to 3pm on Saturday 7th September at MIY Workshop. Payment by cash only please. 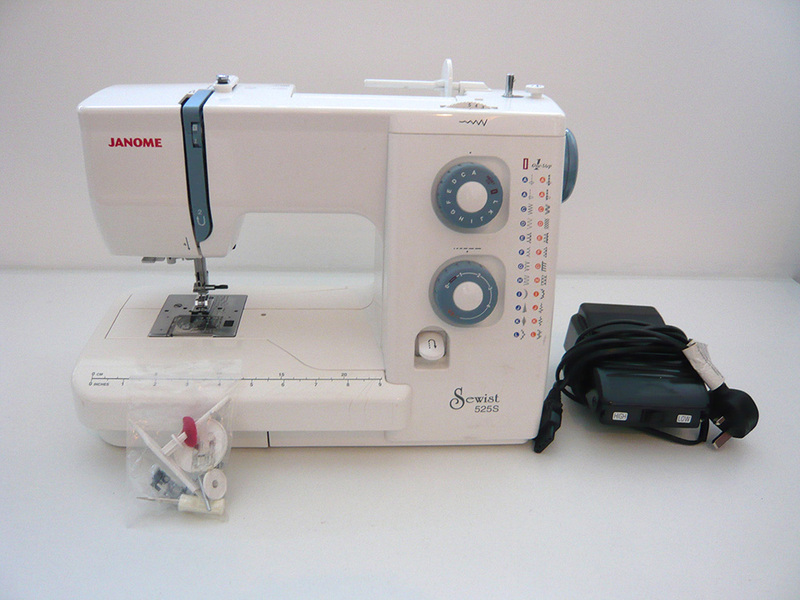 A Janome Sewist 525S – the same machine we use in classes at MIY Workshop. Speed adjustable foot pedal, a range of stitches suitable for sewing stretch fabrics, ability to drop the feed dog to do freehand machine embroidery and a presser foot pressure adjuster. Great little machines and perfect for beginners. 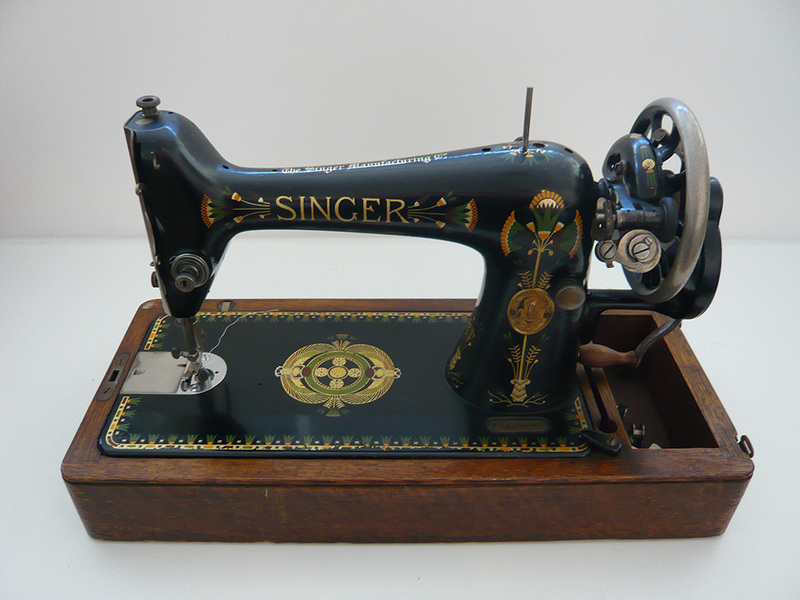 This machine comes boxed but doesn’t have a hard cover and is also missing spare bobbins, a buttonhole foot and a manual. 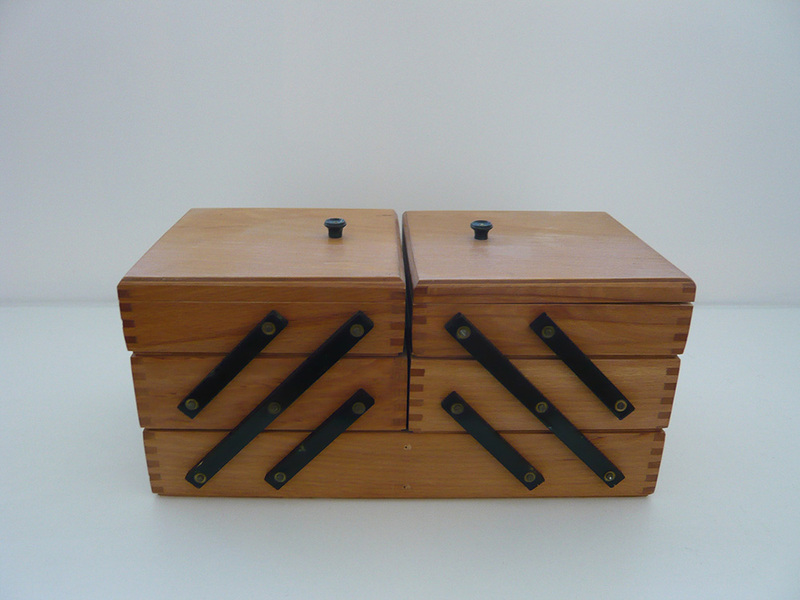 The manual can be downloaded easily for free online, bobbins are very cheap to buy and a buttonhole foot can be picked up easily from any sewing shop or online for approx. £10. 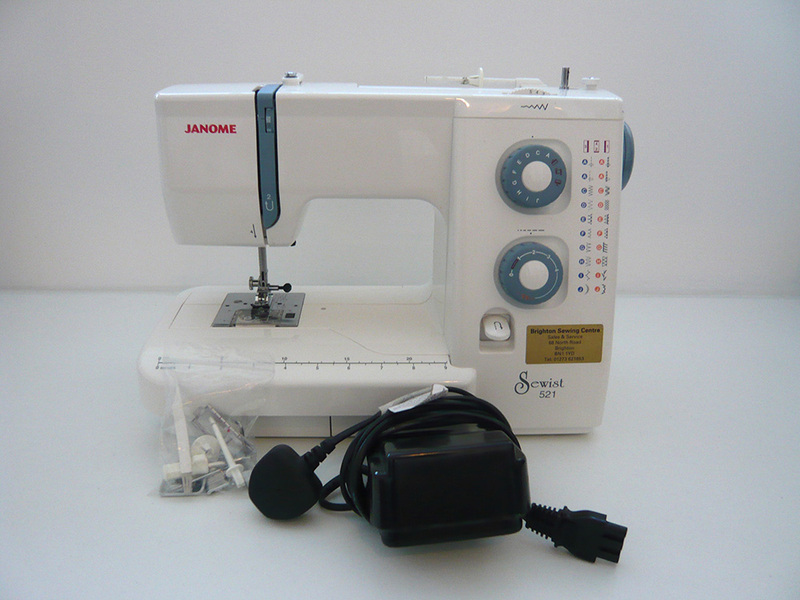 A Janome Sewist 521 – the model before the one above. 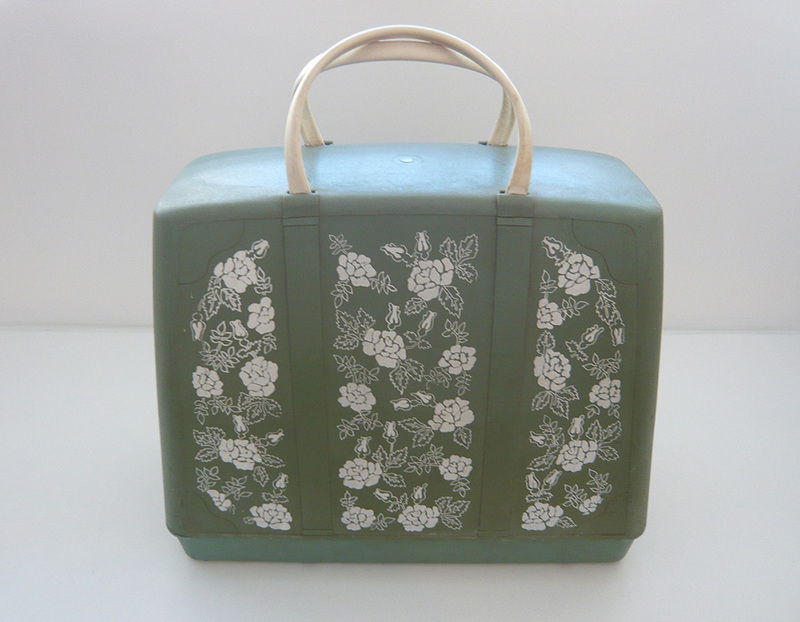 It has a few less decorative stitches than the 525 and a 4-step buttonhole, rather than one-step. Again, this machine comes boxed but doesn’t have a hard cover and is also missing spare bobbins and a manual. 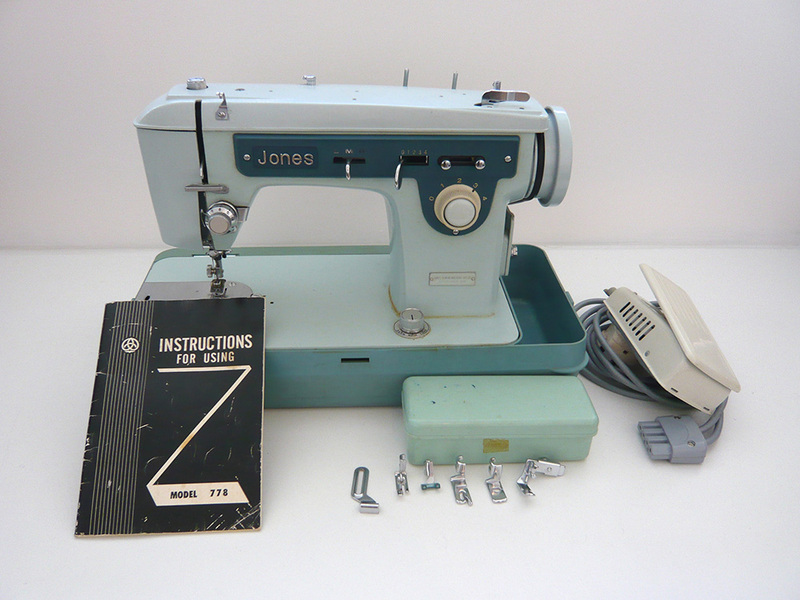 A lovely old Jones sewing machine – model 778. 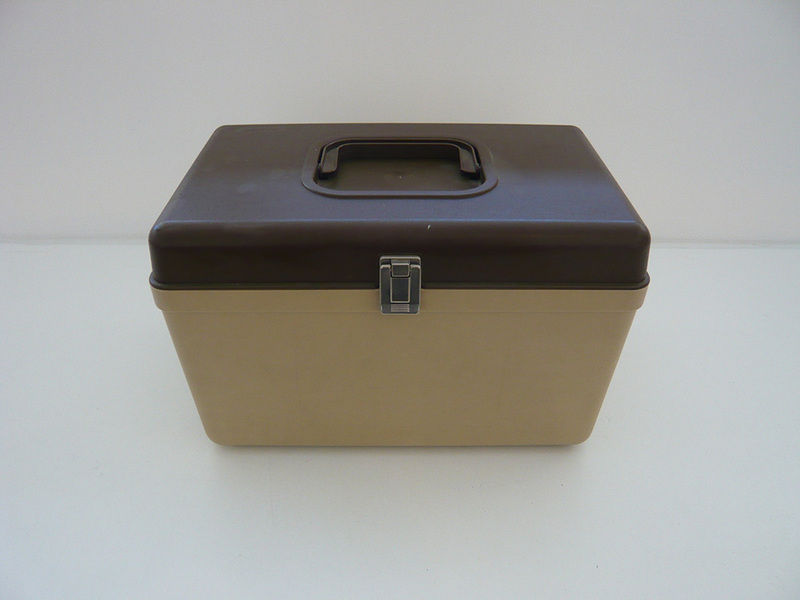 All metal parts, complete with hard carry case, manual and spare bobbins and feet. This machine can do the basics – straight stitch and zigzag and also has the ability to drop the feed dog to do freehand embroidery. 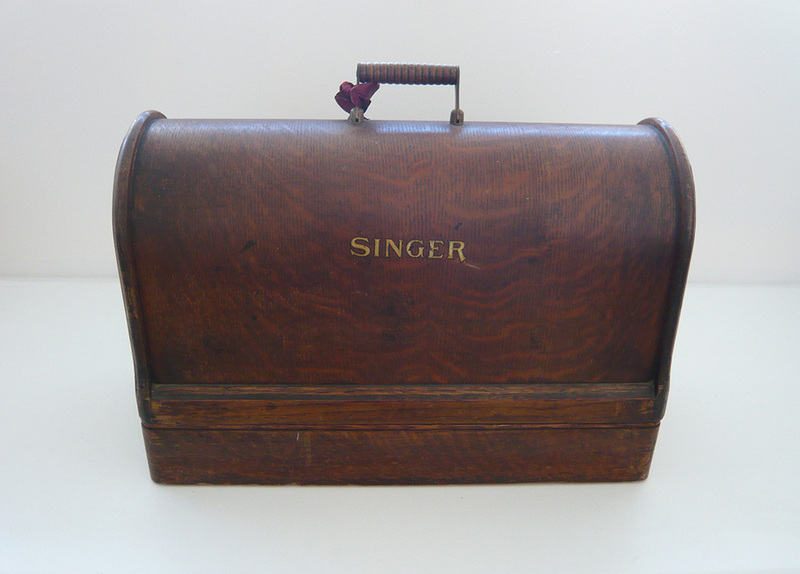 A beautiful old Singer hand operated sewing machine complete with spare bobbins and hard wood carrying case. These machines can do straight stitch only. I learned how to sew on one of these many moons ago! The beauty of it being hand operated is that you can go as slow as you need! 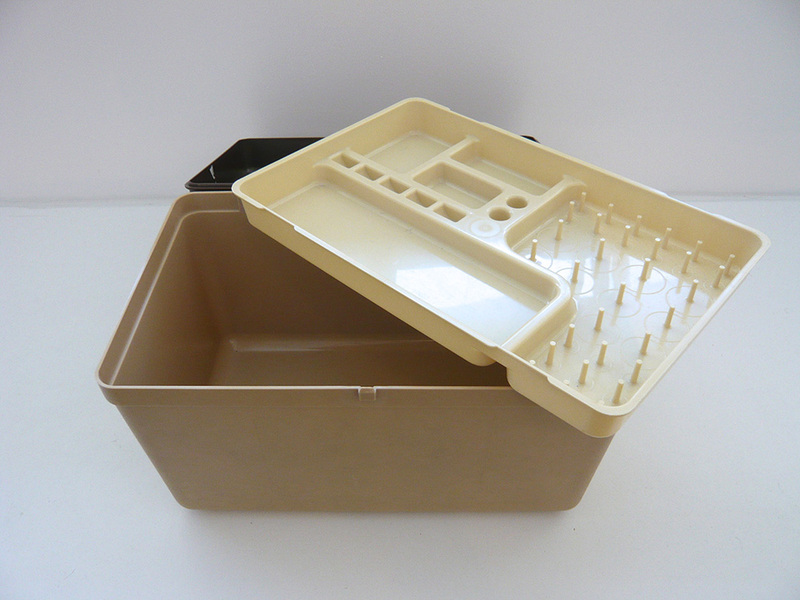 Plastic sewing box with removable tray with spindles to organise threads and bobbins. 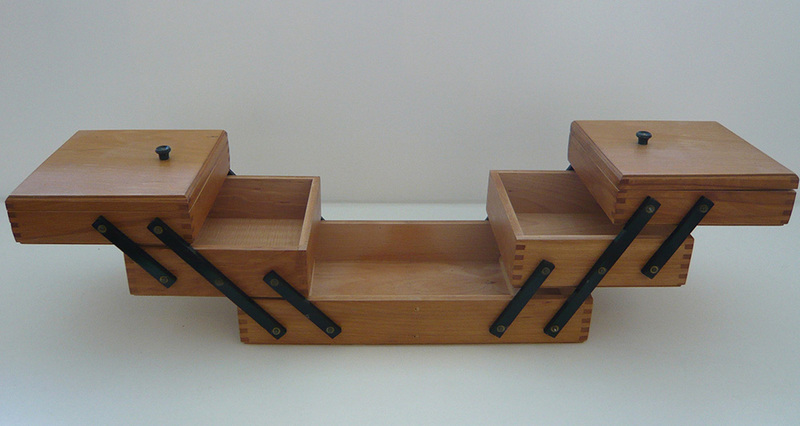 Lovely old wooden sewing box with cantilevered 3 tier shelves. 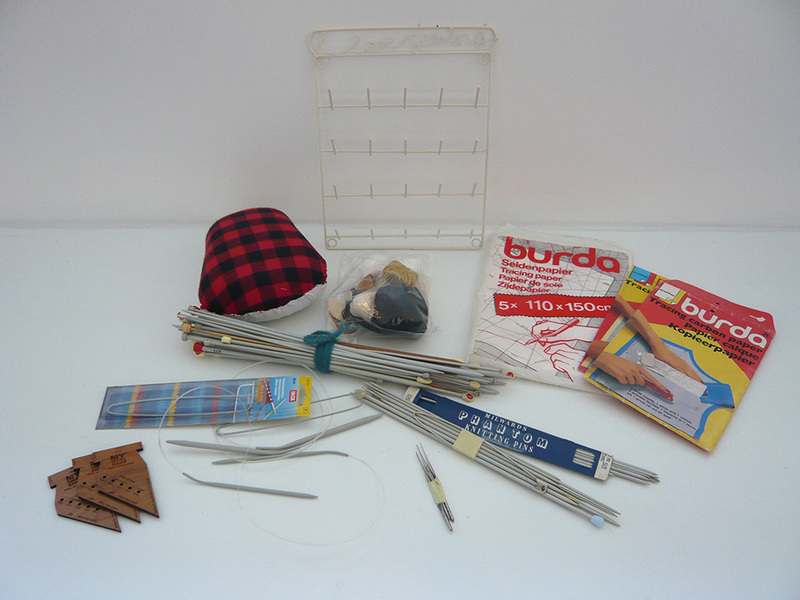 Miscellaneous sewing and knitting bits and pieces. Priced individually. 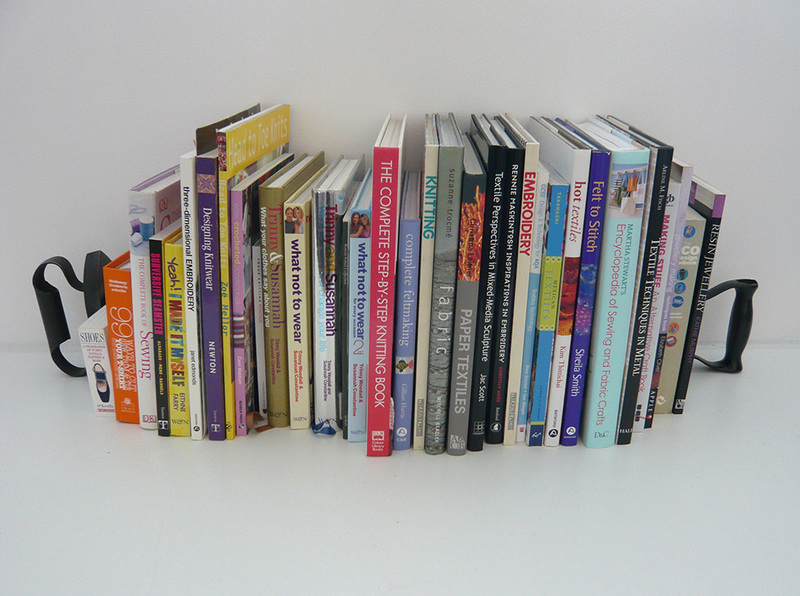 Sewing, knitting and art related books.